They're the undoubted top dogs in the world of rugby union, so the New Zealand team might be looking at new areas to dominate in. Don't expect any 20-stone rugby players to make it as Formula 1 drivers any time soon, but could that extra muscle help them as mechanics? 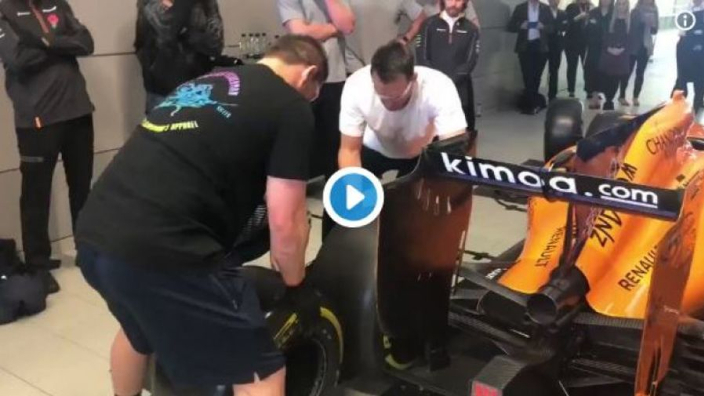 McLaren put a few Al Blacks to the test in a pit-stop challenge.